If you're planning a summer vacation in Churchill, Manitoba we've got some packing suggestions to help prepare for your adventure. Summer is a beautiful time to visit Churchill - the tundra is teeming with colourful blooms, beluga whales are swimming into the Churchill River by the thousands, and the long northern summer days offer plenty of daylight for incredible wildlife viewing. Although Churchill is considered a subarctic climate, you might be surprised to hear that it can get quite warm in the summer.The average temperatures during July and August is 12˚C (54˚F), but has been known to reach above 25˚C (85˚F). Note: the temperature will feel cooler on the Churchill River, so if you have a beluga whale boat tour planned, be sure to dress in layers. 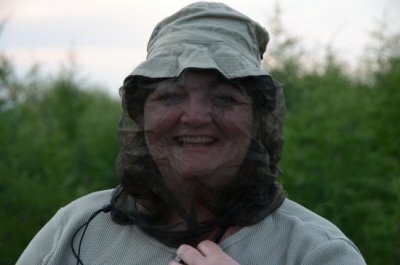 *One thing that you should know about Churchill is that during the summer months, mosquitos and black flies cam be very active. We highly recommend guests bring a bug jacket and repellent. Ask us on Facebook or Twitter, or contact one of our Travel Counsellors at adventure@frontiersnorth.com. Looking for some travel inspiration? Check out our latest summer video to get an idea of what you can look forward to!